I had three mothers and I needed them all. I’m dedicating this Mother’s Day reflection to all you mamas out there who fill so many roles and wear so many hats in meeting your children’s needs — and you’re just one mother! You are masters of the bob-and-weave, performing complex multi-task maneuvering to cover the many bases required of moms. My three mothers divvied up the task, though certainly not by design. It just sorta worked out that way. Throughout my childhood, I was matter-of-fact about the idea of having another mother out there somewhere. 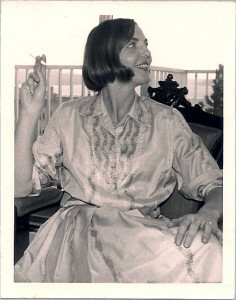 I remember fantasizing only once or twice that she was really one of my mother’s friends, someone I’d known all along. When my father asked me, soon after my mother died, if I wanted to find my birthmother, my interest blossomed from its dormancy. This entry was posted on Thursday, May 8th, 2014 at 2:59 pm	and is filed under Parenting for Peace. You can follow any responses to this entry through the RSS 2.0 feed. You can leave a response, or trackback from your own site.